Britain plans to hold a vote in Parliament on Jan. 15 on the government's deal to leave the European Union, Prime Minister Theresa May's spokesperson said Tuesday after a meeting of senior ministers. May again told her cabinet it was not government policy to delay Brexit by extending the so-called Article 50 notice, the spokesperson said, adding the idea may have been discussed by EU officials, but not by British officials. "Subject to Parliament approving a business motion, the debate will be opened tomorrow ... The prime minister said that she would close the debate next Tuesday, which is Jan. 15, when the vote will take place," her spokesperson told reporters. The vote had originally been scheduled for Dec. 10, but May postponed it, admitting in the House of Commons that it would have been "rejected by a significant margin." She consulted with European leaders in the days that followed, but it wasn't clear she gained any new commitments from them. May survived a non-confidence vote from within her party last month, but was not given an overwhelming boost from the secret ballot, with 117 of 317 going against her. Opposition Leader Jeremy Corbyn has described the government's handling of the Brexit process as "shambolic," while the Democratic Unionist Party — which props up the May government with its 10 members — has expressed concerns that a backstop proposal at the Irish border would lead to a permanent regulatory arrangement. May has ruled out another public referendum and the government and businesses have been ramping up preparations for a no-deal exit, with Britain set to leave the EU at the end of March. Regarding the possibility that date could be extended, the Telegraph cited three unidentified EU sources as saying British officials had been "putting out feelers" and "testing the waters" on an extension of Article 50, which sets out the conditions for leaving the EU. Brexit Secretary Stephen Barclay denied the report and said London would not seek to extend the divorce, while German Foreign Minister Heiko Maas said it was not time to discuss such a course. But Irish Foreign Minister Simon Coveney told journalists after a meeting with Maas in Dublin that: "Certainly from an Irish perspective, if such an ask happens, we won't be standing in the way on that. 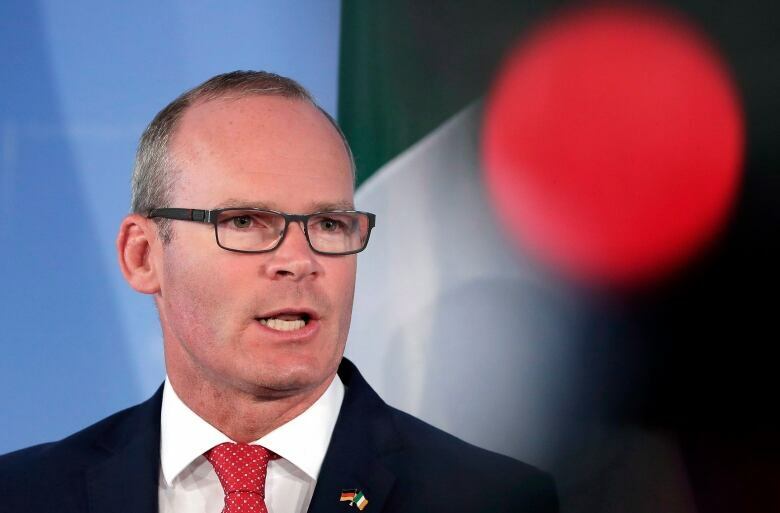 "If it is the case that at some point in the future that the British government seeks an extension of Article 50, then that is something that will have to get consideration at an EU level," Coveney said. Ireland's economy would be hit hard by a disorderly Brexit, and the most contentious part of May's deal is an insurance plan aimed at preventing a hard border between the Irish Republic and Northern Ireland. EU leaders and officials have said over recent weeks that they would be open to extending the Brexit process if Britain asked. 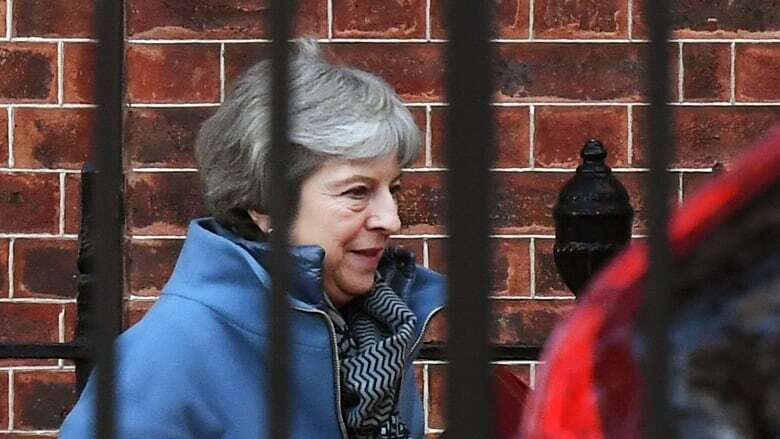 The May government were dealt another setback in that regard on Tuesday, with a 303 to 297 defeat in the Commons meaning that the government needs explicit parliamentary approval to leave the EU without a deal before it can use certain powers relating to taxation law. May's office had earlier played down the technical impact of defeat. Speaking before the vote, Treasury minister Robert Jenrick said the proposal's only impact would be to make the country "somewhat less prepared" for a no-deal outcome. The Opposition was in disagreement. "This vote is an important step to prevent a no-deal Brexit. It shows that there is no majority in Parliament, the Cabinet or the country for crashing out of the EU without an agreement," said Corbyn.